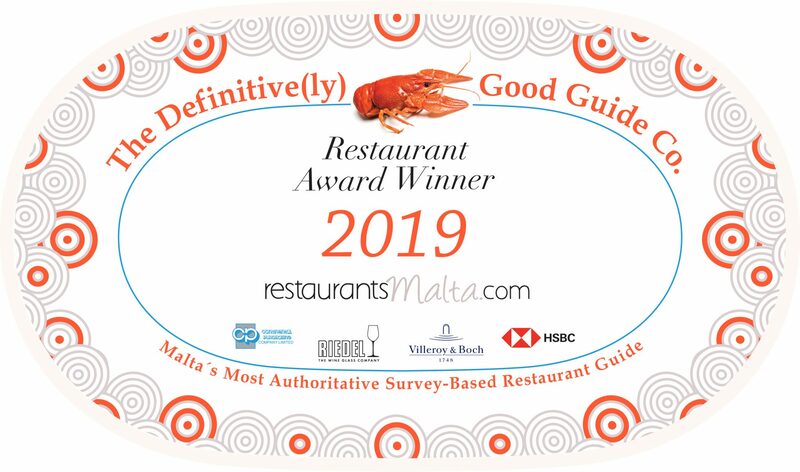 The 2019 Restaurant Awards announced on the 3rd December 2018 at the Restaurant Awards Ceremony Gala Dinner are the result of our 2018 Malta and Gozo Restaurant Survey and includes the 150 highest rated eating establishments in Malta and Gozo out of over 3000 restaurants on the islands. Awards are based on the highest rated overall, and in the individual Food, Service and Ambience categories, taking into account the number of people rating them, value for money, comments and other data from the survey. Restaurant Awards are supported by HSBC and Global Payments Malta. Award Plates by Villeroy & Boch supplied by Continental Purchasing Ltd.